I never knew this one date would becloud all the colors of my life and cast a pall over all other dates on my calendar. Yes, I could nestle in my tears; in fact, I did so. My eyes that constantly whoop with grief, regret and emptiness these days are befriending these two colors- black and red. This Red is not the red of rebellion, not the red of revolution. Wherever I trail around, all I can see is blood, deep wounds that might never heal; not even over the course of time. On this day three winters back I lost the man whom I had worshipped throughout my life, whom, in fact, I had considered my ‘life’- my father. There is a wispy difference between just losing something and being compelled to lose it to eternity. This exuberant, youthful man used to celebrate life every single moment and tell everyone that he would live at least a hundred years! Destiny! The assailants did not let him embark even on his fifty. He was struck and stabbed with machetes, repeatedly, again and again. Well, ‘loss’ cannot convey the connotation of what I actually lost that day. Anybody recalls the name? Prof A K M Shafiul Islam- my father or more likely to say Lilan sir of Sociology department? He doesn’t exist any longer, I know. He has been clasped by the dark of death. The classrooms of the university, the chamber, Juberi building, the nonsensical addas or intense political discussions – everything is in there, just my father is not. The stairs in the west front of Mamtajuddin do not any more jerk with the roaring sound of his bike. He no longer exists even in your drawing room conversations. Things, in reality, are this fleeting, yes I have skirmished with this feeling as well. You all would foregather this morning, put a black badge on your chest and dispose of your pre-scheduled programme. Words would overflow your genuine concern for this brutal truth of my father, some would even walk all over the Pericle’s great funeral oration- ”Justice delayed is justice denied!”, oh, how impressive. Trust me; I no longer try to contemplate what you say. Nor do I brood about getting justice and winning people’s sympathetic semblance. You learn to accept the fact that your condolences now rather poison my nothingness. My inner self is exhausted today. I scoff at your consolation, your protest demonstrations, your faux promises of getting me justice. Your ”one minute of silence” sickens every minute that I while away crying over my father’s demise. These long three years everyone has been too busy to give it a hoot. Nobody bothered to demand a legitimate and rightful investigation, to ask for justice, to stand for my father. I really cannot help frowning at your feigned concern, I am sorry. I cannot. Just this humble request from this poor man, don’t put these sweet words to use anywhere, please. I need to be guided. I need to know the art of trifling with all the harrowing moments of life and putting on a false front as if nothing ever happened the way you do it. And yes it never ceases to amaze me. Three years have passed. Three Novembers, three winters. I also loved this wintry wind once; these bleak leaves and freezing mornings used to bring shivers to my bones. Then that one winter afternoon had left me desolate. And now these winters are just pining for the past, nothing much. After all these years I am here writing again, or probably totalizing the seconds and minutes that I have spent holding this immense pain within me. No, this stretch of time didn’t just fly, I have wrestled with every second. His absence constantly convulses with my void presence. I feel his non-existence more than anything else in the world. And yes I miss him. I miss him almost in a brutally wistful way… I desperately feel like touching him for once, for once at least… enfolding myself in his arms and putting my head on his lap for hours. I feel like talking to him as often I want and cracking all the obscure jokes of our lives. But! He’s nowhere to be found. I sometimes think of being sheer utopian! I wish I could believe there was a blissful afterlife in where you’re living another life, happily ever after. I can’t do that either since I could never afford that self-indulgence of appeasing my griefful intuitions. I know how childish that would be! I still want to alight on the promised land where would be neither suffering, desire, nor sense of self, and the subject might be released from the effects of karma but the cycle of death and rebirth would exist because my father you loved to live. If someday I meet you, Baba, I would ask; Why did you have to receive my call that day? Why did you have to leave that excruciating shriek for me as your last remembrance? Your last breath was awaiting me, Baba? I still hear that howl of yours…while sleeping, in nightmares…it has whipped my sleep for three years, Baba! I spend many nights…sleepless… just crying on my pillows or heaving blue sighs of blankness. Is this strange nothingness indefinite? Am I bound to be confined to this hollow? I don’t know. I evidently remember as soon as I had reached Rajshahi I asked them whether they had filed a case or not. The then vice-chancellor of Rajshahi University seemed to be completely reluctant to file a case and he said, ”Right now your forthright responsibility and priority should revolve around your father’s funeral. Don’t think of anything else. As far as it’s about filing a case, we are there to contend with the legal procedures.” Next day the registrar of the university is the lead plaintiff, filed a case. Interestingly, after just a couple of months when I asked him about any headway of my father’s murder case, he casually answered that he had performed only his due responsibility and he didn’t further try to know the whereabouts of the case. I spoke to the law enforcing sector of the university. They told me that they were waiting for university instructions because they can proceed only when there is order from the university authority. I still pulled out all the possible stops and did my damnedest to wake up any of the authorities that were to look after my father’s case. The administrations sidestepped my supplication, each time. When there has been no apt and acceptable investigation yet; the long and hard road to justice must be built on sand! Conversely, please forgive this audacity on my part. Don’t ask me with your euphoric smile that ‘How I am’. I am not well! I never can be. This is palpable and this is what I am accustomed to. I have acknowledged my destiny. And I do not hold you accountable for any of these. You know the human tragedy lies in its optimism. My life has repeatedly wounded me and left me bruised in an all deserted island but I don’t know why I’m still not as robust as I am supposed to be. I imprecisely once again believed in the human sentiments and expected the Sociology department of Rajshahi University to have remembered my father with the littlest respect that he deserves. And once again I am proved to be absurd and eccentric. It somehow has come as a shock to me, I have come to grips with it too. I had been put into an illusion that my father was like a lighthouse, he was a masterly genius, a famous professor of Rajshahi University, he had done a lot for the department, for the university and that he was idolized for his wisdom, his progressive facets. All were lies, blatant lies. I am sure he was neither a good teacher nor a good human being. He was never that social being material and today I am realizing how he had pissed many of you off with his controversial lifestyle and divergent interpretations. So now I must acquaint myself with this one as well. Again, forgive this little audacity on my part. 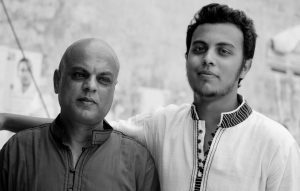 The writer is the son of late Shafiul Islam, professor of Rajshahi University, Bangladesh, who was brutally murdered in 2014 by machete-wielding assailants in Rajshahi. 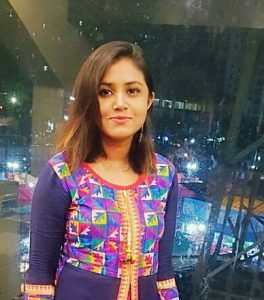 Sharbani Datta hails from Chittagong, Bangladesh and is currently pursuing doing undergraduate studies in Economics (Hons.) from Jadavpur University, Kolkata, India. The fractures of our surroundings always drove her to take the pen in hand. Hence writing has not only been a hobby rather it’s always been a space for her to breathe freely, a means to understand the contemplation of life. Shukhia is a woman, Shukhia is a minority!